Most of us know that it’s wise to plan for retirement early, carefully stashing money into an IRA or other account to have a healthy income to live on once we’re ready to stop working. That’s also a great analogy for our bone health. When we’re young, our bones are calcium-absorbing machines. So this is when we should be enjoying calcium-rich foods such as dairy products and leafy greens, a minimum of 700 milligrams per day, combined with Vitamin D at 1,000 IU per day. Add in bone-strengthening weight-bearing exercise, and you’ve now built great bone mass that can literally last you for a lifetime. Because after age 35, “you can slow down bone loss with supplements, but not increase bone mass,” explained Dr. Carlos Isales, an endocrinologist at Augusta University Health who specializes in osteoporosis. Many of us focus on our weight, but our bones are our foundation, keeping us straight, strong, limber and fracture-free as we age. Without strong bones built by calcium and exercise, our risk of fractures as we age skyrockets. And a bad fracture can cause a wide range of other related problems—even increased risk of death. One study funded by the National Institutes of Health found that women ages 65 to 69 who break a hip are five times more likely to die within a year than women of the same age who are fracture free. If you’re 70 to 79, that risk doubles, and if you’re over 80—even if you’re in great health otherwise—that risk triples. Now is a good time to start making sure your calcium intake is at least 700 milligrams daily, combined with about 1,000 IU of vitamin D. If you don’t do this already, do weight-bearing exercises that force you to work against gravity, such as weight training, walking or running, climbing stairs and dancing, for a total of at least three hours a week. Especially if you think you didn’t invest in your bones as you should have when you were younger, start taking calcium and vitamin D supplements now. Aim for somewhere between 1,000 to 1,500 milligrams per day of calcium and 1,000 to 4,000 IU per day of vitamin D. Then make the time to exercise, focusing on those weight-bearing exercises for a total of at least three hours a week. It’s important to mention that some large studies have found no bone benefits related to taking calcium/vitamin D supplements. But when researchers took a closer look, they found something interesting. If you fall into any of these categories, your doctor may suggest medications along with supplements and exercise. There are two main types of medications available: those that help you keep the bone you have and those that stimulate bone formation. Bisphosphonates, such as Fosamax, Actonel, Boniva, Reclast or Zometa, are the most commonly prescribed and most affordable medications. They are available either in a daily, weekly or monthly pill, or via a once-a-year IV treatment. Here’s how they work: The body typically uses osteoclasts to eat away dead bone to make way for new bone—a constant process. Bisphosphonates build bone mass by stopping that process. However, one possible side effect could be that microcracks can accumulate in bone that is not being repaired. So physicians will often put patients on “drug holidays”—stop medication for a year or two—in order to let the body naturally repair some of those microcracks/microfractures. Prolia or Denosumab is an injection given every six months that acts very similarly to bisphosphonates, with the same possible side effects. Forteo is a daily injection of parathyroid hormone, while Tymlos is a daily injection of parathyroid hormone-related peptide. Both of these stimulate osteoblasts to build bone. They can dramatically improve bone density but are designed for severe osteoporosis or for those who have already had a fracture. One possible severe side effect is an increased risk of osteosarcoma, or bone cancer, although this is unlikely. Both injections are costly but could be a good option for anyone with fragile bones. But whether your bone density is low, you are at higher risk for osteoporosis or you have already been diagnosed or have had a fracture, talk carefully with your doctor about the options available and both the risks and the benefits. Maybe not, especially these days when there are so many other calcium-rich sources out there. 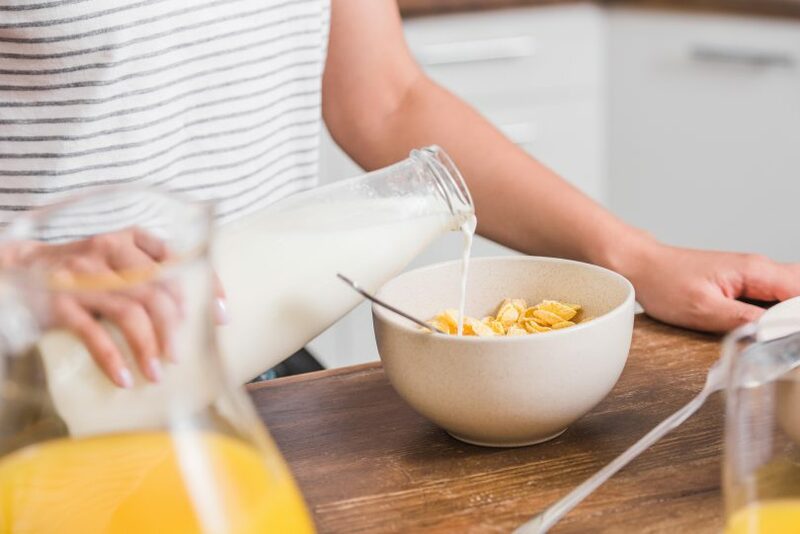 But plenty of dairy—including milk, yogurt or cheese—starting in childhood, along with vitamin D, does have the benefit of building strong bones. “And those protective benefits will last your whole life,” said Isales. To find a primary care physician or schedule an appointment at Augusta University Health, visit augustahealth.org or call 706-721-2273 (CARE).